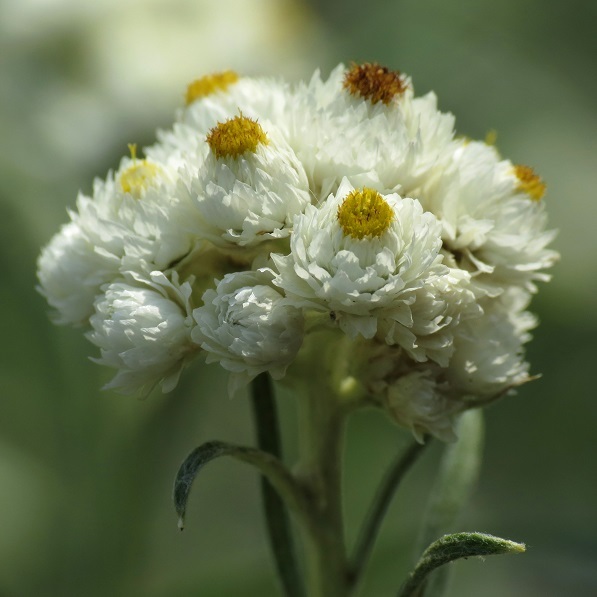 A beautiful member of the Aster family, this plant is an excellent choice for reclaiming bare land as it tolerates all types of abuse and neglect! 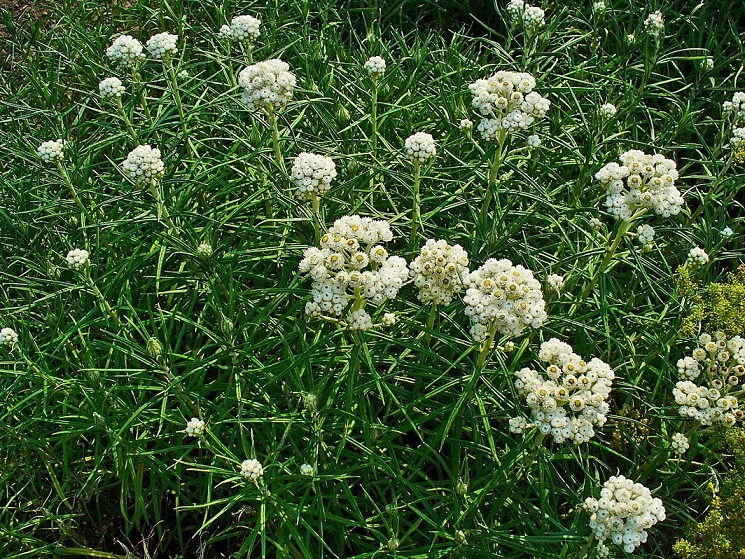 It survives drought, pollution and weak soils. 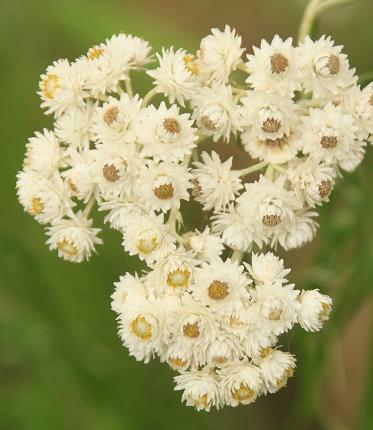 Besides these attributes, it is a beautiful wildflower that attracts butterflies. 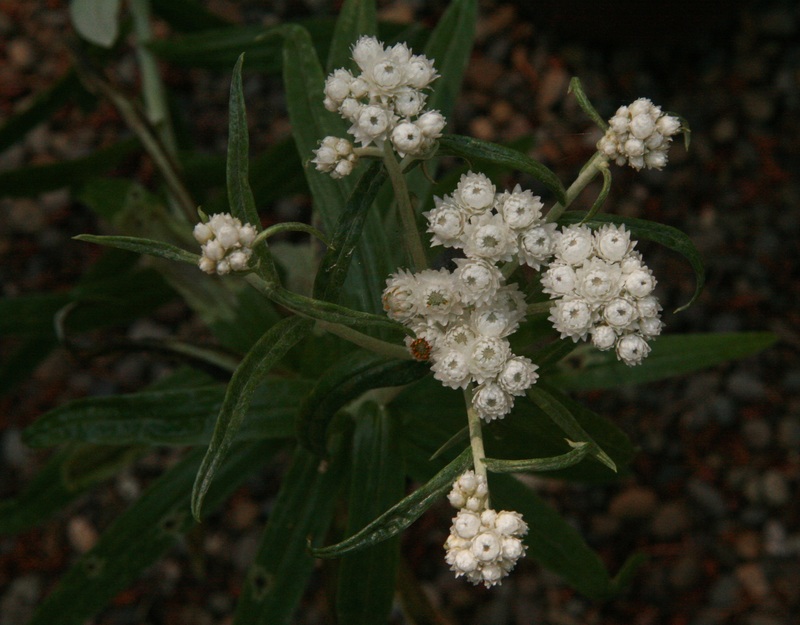 The foliage is distinct, with its soft, downy wool on the stems and undersides of the leaves. 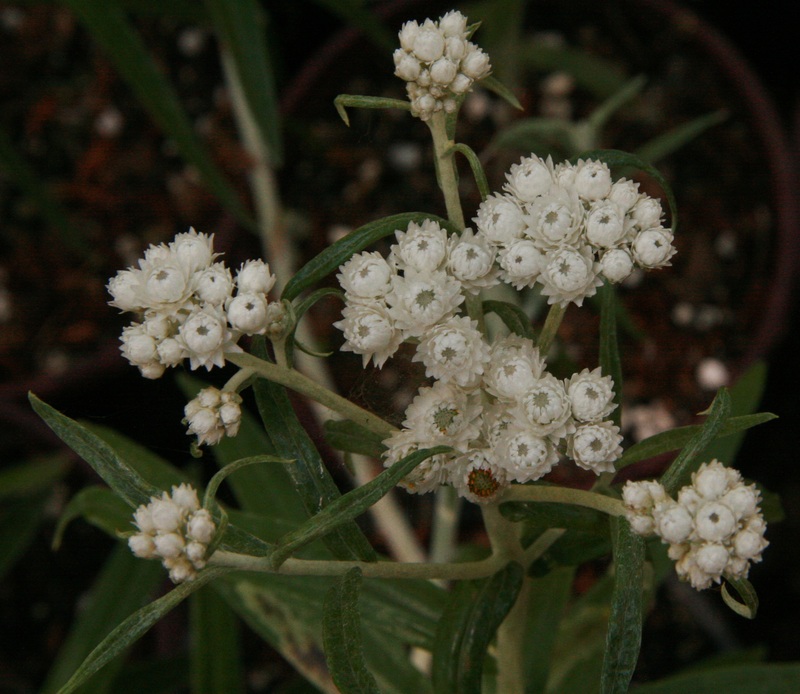 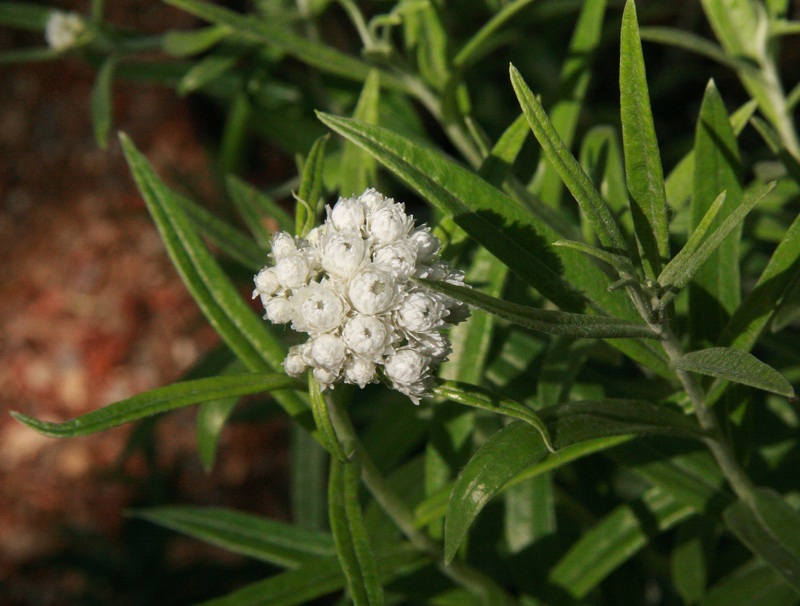 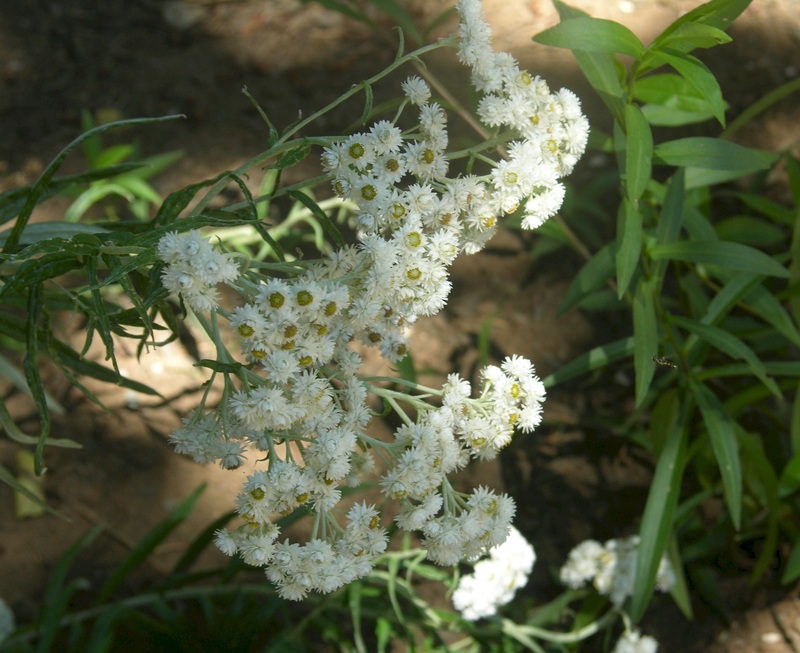 The stems are 8-24" and end with a cluster of yellow flowers, surrounded by many white, papery bracts. 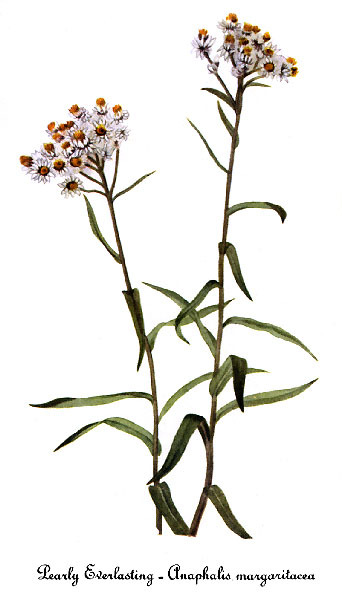 These are used for dried flower bouquets. 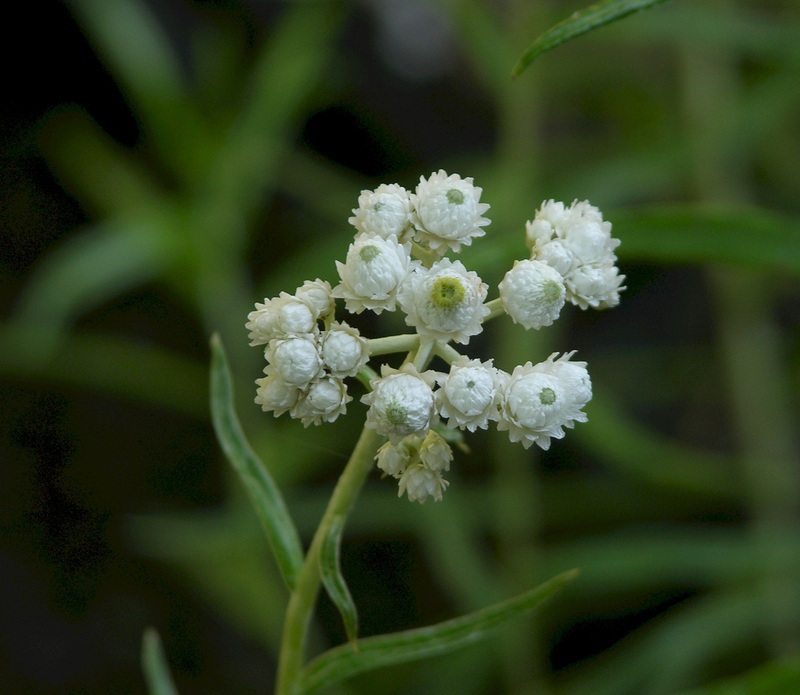 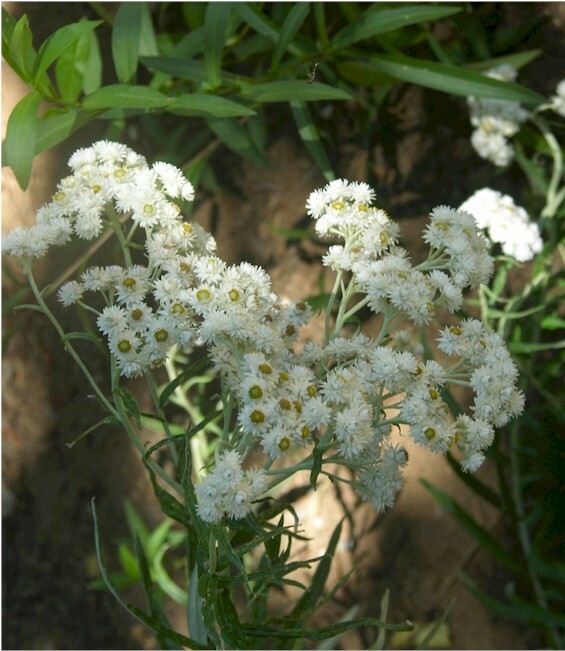 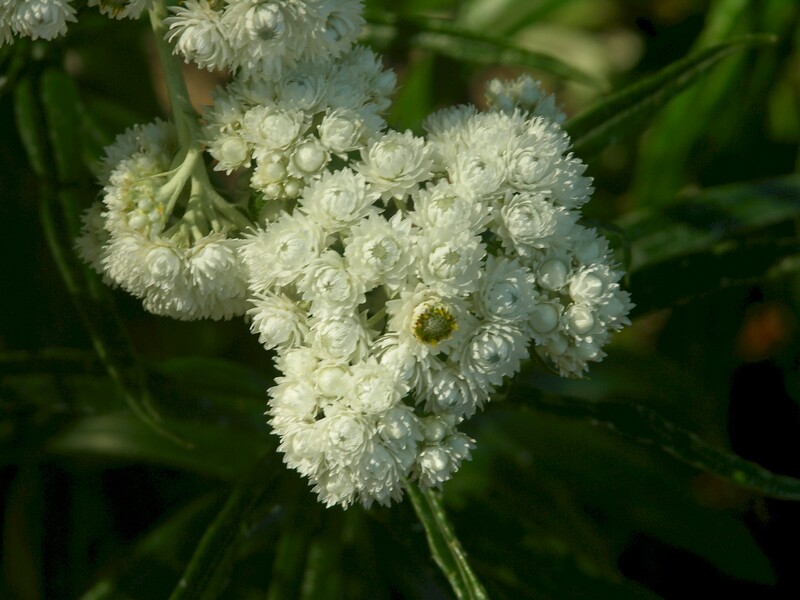 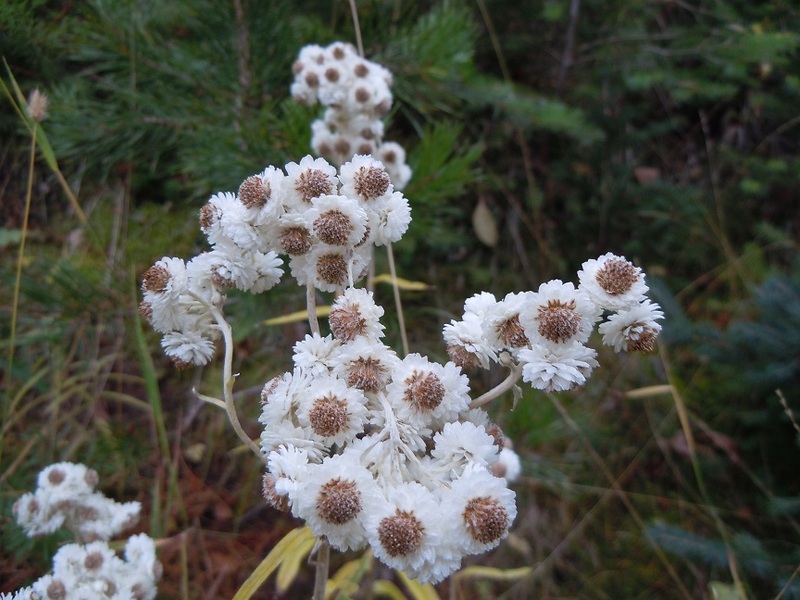 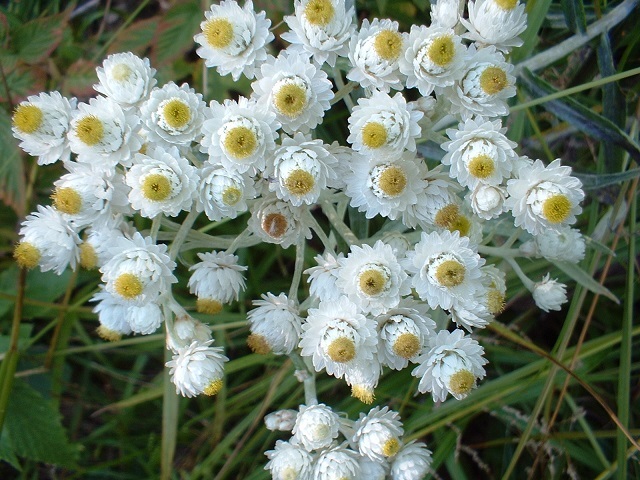 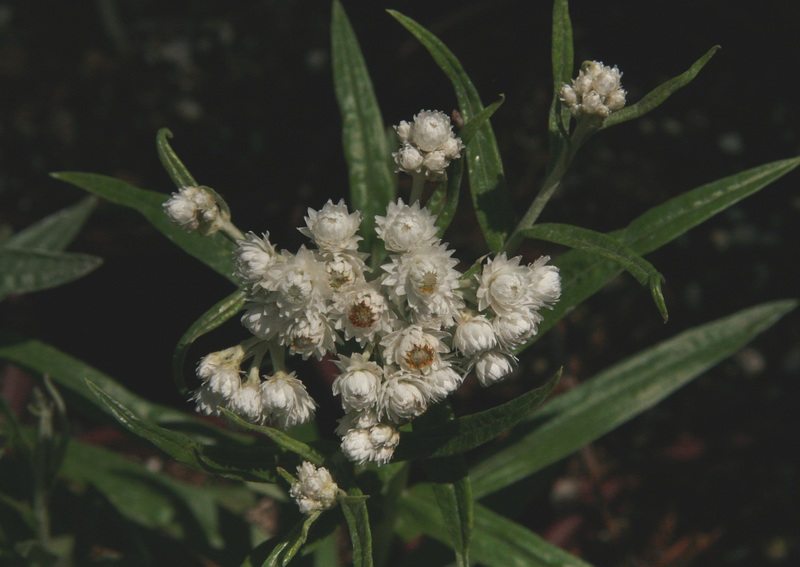 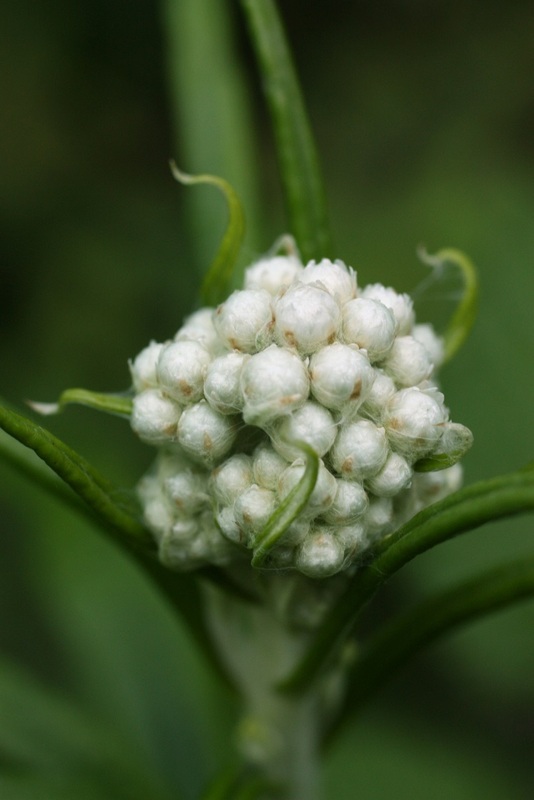 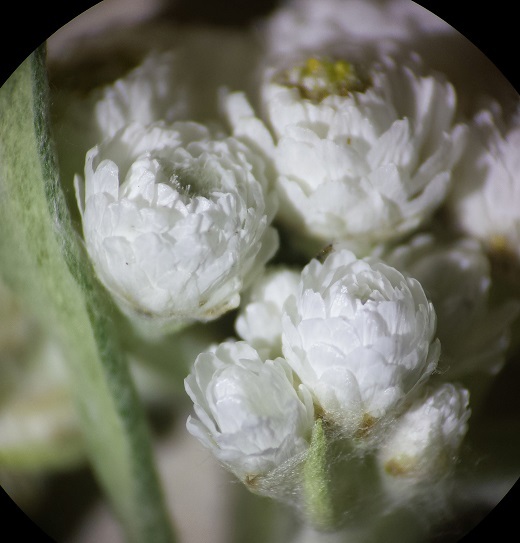 Pearly Everlasting is found in open forest meadows, rocky slopes and disturbed areas across North America from USDA zones 4-10. 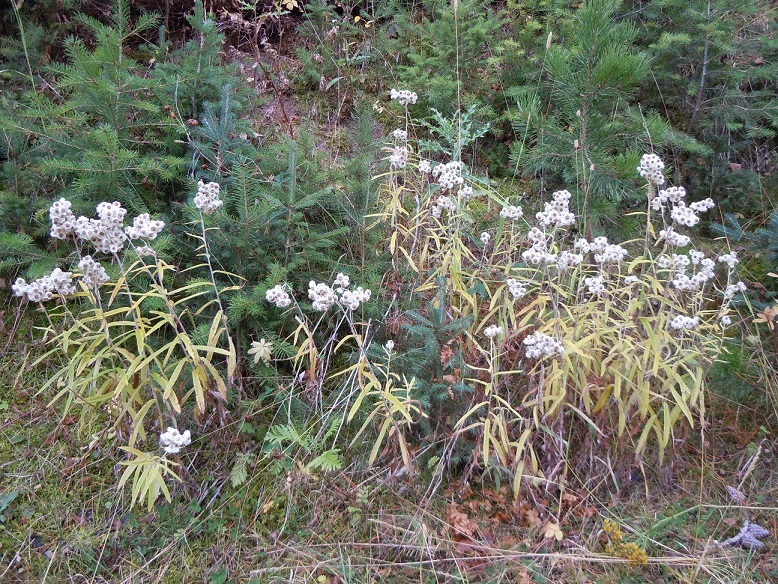 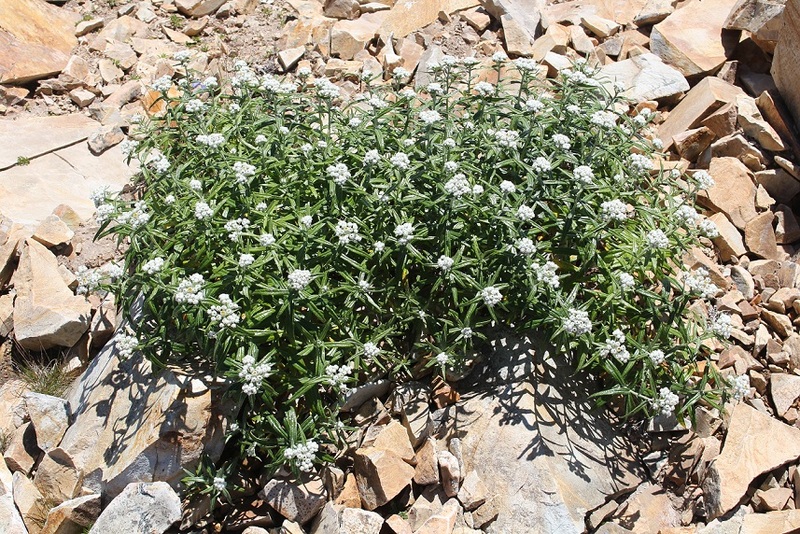 Two of the places this northwest native grows in the wild: Often in open understory and roadside habitats, the showiness of the flowers of this species is due to the white involucral bracts; and in nature's rock gardens.